Dean Ammeter and the faculty and staff of the BGS program are excited to announce the first General Studies major to be inducted into the UM Hall of Fame, Justavian Tillman, of Bruce, Miss. Tillman is majoring in general studies with minors in education, English and journalism, and is on the Chancellor’s Honor Roll. He is president of the Black Student Union and the Men of Excellence, and was the university’s Gospel Choir president for 2014-2015. He serves as the UM Association of Black Journalist secretary, on the Associated Student Body Inclusion Committee, Vice Chancellor Advisory Council and Black History Month Planning Committee. He is also on the Office of the Dean of Students’ Leadership Development Committee and Insight Leadership Advisory Council. Tillman is a retaining, enrolling and graduating Ambassador, Fastrack Peer Mentor, and a student worker for the Center for Inclusion and Cross Cultural Engagement. He interned at Brown University for the Association of College and University Housing Officers – International, as well as volunteered for the Big Event, More Than a Meal, Boys and Girls Club of North Mississippi and LeapFrog. He is in Sigma Alpha Lambda honor society, a UM Opportunity Scholar and is in the National Undergraduate Fellowship Program. 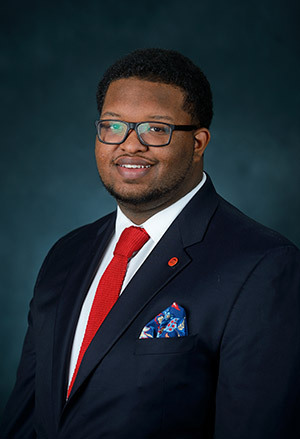 Tillman recently accepted a position at Western Kentucky University in Bowling Green to serve as an assistant resident hall director starting this fall. He will also begin working on his master’s degree in higher education and student affairs. He is the son of Sesame Hall and grandson of Nancy Hall of Bruce.